But how? Spike is only outdoors for his daily walks. 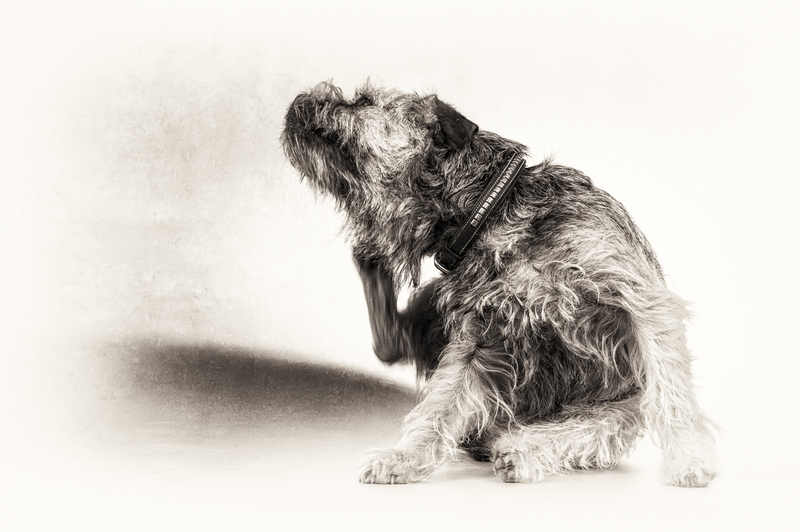 Fleas can jump up to seven inches vertically and up to 13 inches horizontally. Spike’s legs are only five inches long. The Frontline I’d always used seemed to be doing nothing. Daily vacuuming. This made my eyes roll. I vacuum a lot more now — but not yet daily. Until recently, I also didn’t understand how it helps interrupt a flea’s life cycle. An adult female flea lays about 25 fleas a day. Most fall off a dog on to its bedding, furniture or carpeting. Once the eggs hatch, flea larvae crawl about feeding on organic debris and adult flea feces. With rigorous vacuuming, you can remove eggs, food sources and even cocooned flea pupa before they become adults. This also means vacuuming couch cushions and under furniture if your dog sleeps nearby. Lastly, you have to remove the vacuum cleaner bag, seal it, wrap it in plastic and get it out of the house. Washing dog beds and blankets every couple of days. Wherever a dog spends time, fleas and their eggs, larvae and pupa can be found. 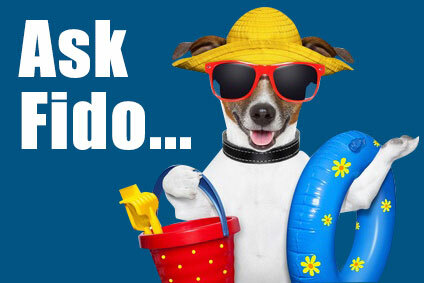 Washing bedding or rugs in hot water (140 degrees F) and drying them in a dryer is as important as vacuuming. Weekly baths with a mild shampoo. 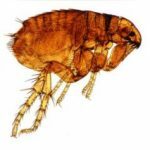 This helps get rid of fleas, but it also helps remove anything from the environment — pollen, dust or garden chemicals, for example — that might cause itching. Spike also had dry skin and fur. I added oil to his diet and used Demoscent, a blend of essential oils and fatty acids applied like flea control products. Flea-combing after a walk. I lay Spike down on a white towel, have a bowl of detergent and water close by and comb his fur. When I capture a flea, I drown it in the soapy water. Usually I find some fleas, but hardly an infestation. It is a great bonding time for Spike and me. Washing his feet in a mild cider vinegar and water mixture after a walk to help relieve the paw-licking. I did use a mild cider vinegar and water rinse after his weekly shampoo, but for a dog who walks at least three to four times a day, this was more than I could handle. The vet gave me one tip that was new to me: calling in Fleabusters or applying the Fleabusters powder myself. The powder is a white, nontoxic boric acid and salts mixture. It destroys the outer shells of fleas, cockroaches, termites, silverfish and other insects. Less toxic than salt, the powder can be handled safely with bare hands. You sprinkle it over floors and sweep it into cracks or carpet pile with a broom. Rub it on couch cushions and into upholstery crevices as well. A three-pound canister costs about $30 on Amazon.com and will treat about five rooms. Before going on a two-week road trip in October, I spent an afternoon applying the powder. The next day, we left and the powder sat undisturbed until we returned. Now we’re into a new hot season. I need to go back to the drawing board to develop a strategy for this year’s flea war.